Throughout the exploration and production life cycle, basin modeling is used to investigate and quantify risks associated with the petroleum charge in a basin. Varying levels of uncertainty associated with many of the model inputs can significantly impact the model’s results. Nowhere is this more relevant than in frontier basins where data are sparse and the geological framework is poorly constrained. Featuring the frontier basin of the Zambezi Delta depression in East Africa, this webinar demonstrates how using sensitivity analysis to assess specific input uncertainties can provide a better understanding of qualitative risk in basin modeling. Using sensitivity analysis on a basin-scale 3D model, the modeling combines regional data sets and interpretations to evaluate key petroleum system elements and capture uncertainty in frontier basins, thus applying a robust stratigraphic sequence approach that yields insights even in data-sparse areas. 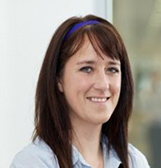 Kate Evans is the DecisionSpace® Unconventional Exploration Product Specialist, and has worked in the oil industry for eight years. Ms. Evans started her career at Neftex Exploration Insights, where she was involved in data interpretation and in building regional exploration projects for North America and the Arctic. With a continued focus on unconventionals, Ms. Evans has helped create workflows for large regional-scale screenings for shale resources, and has worked extensively to support the Neftex Exploration Insights customer base with training and product use. She holds a bachelor’s degree in geoscience from the Open University, Milton Keynes, U.K.
Kathleen Gould is a geoscientist for Halliburton Landmark, working with the Neftex Exploration Insights group. She joined Halliburton in 2012 as a regional geoscientist for the Sub-Saharan Africa Region team. In her current role within the research and development group, she uses her geoscience domain expertise in software design to improve user experience. She also conducts frontier basin modeling using Permedia® Petroleum System Modeling software developed by Landmark. 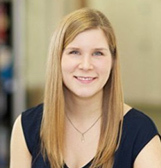 Ms. Gould has worked in the oil industry for the past 10 years, holding positions with the Geological Survey of Canada, Imperial Oil, and the oil and gas lab at Saint Mary’s University in Halifax, Canada. Although primarily a petroleum geoscientist, she has also worked in mineral exploration and as a Geographic Information Systems specialist. Kathleen holds a Master of Applied Science in geology from Saint Mary’s University.